The system displays the suggested invocation phrase to the user when they create the shortcut. Use a short, memorable phrase, such as "Soup time". 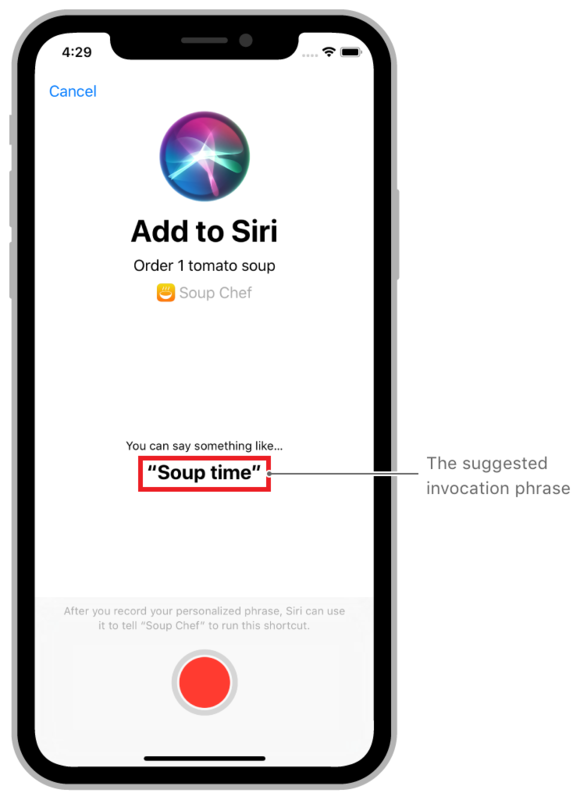 Example of adding a shortcut with the suggested invocation phrase, "Soup time". To access the suggestedInvocationPhrase property, import the Intents framework.